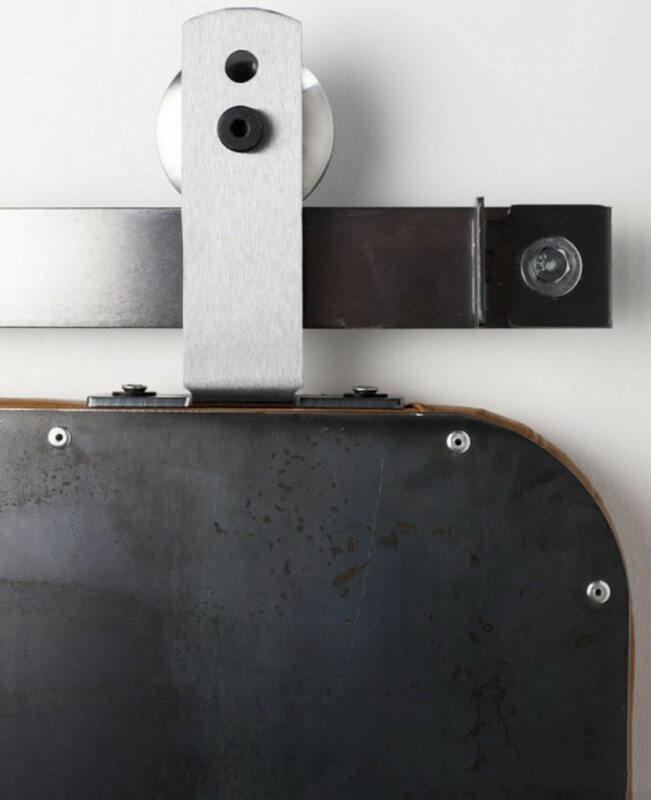 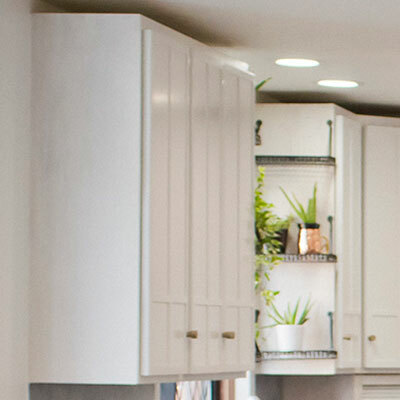 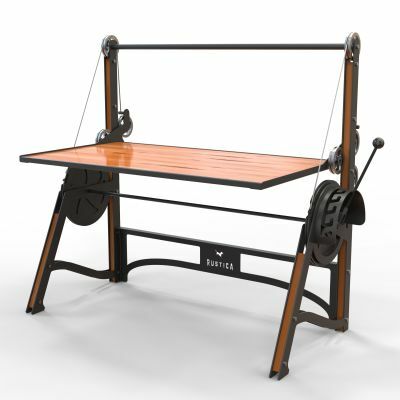 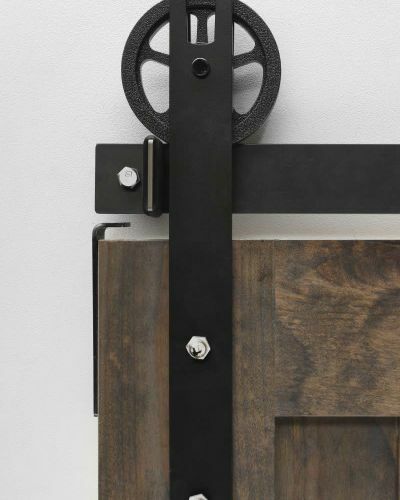 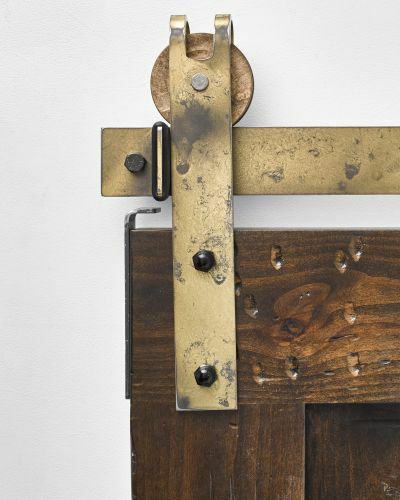 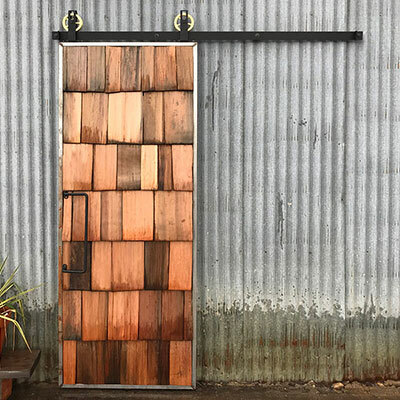 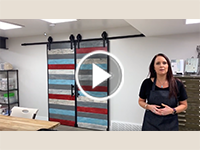 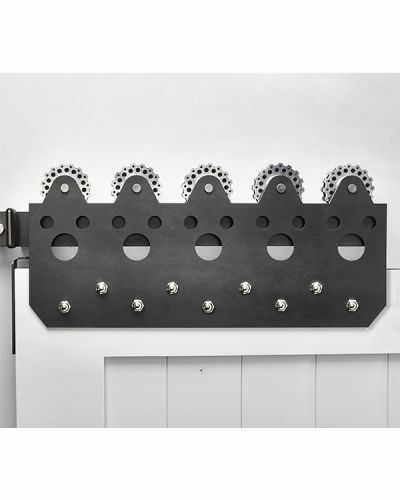 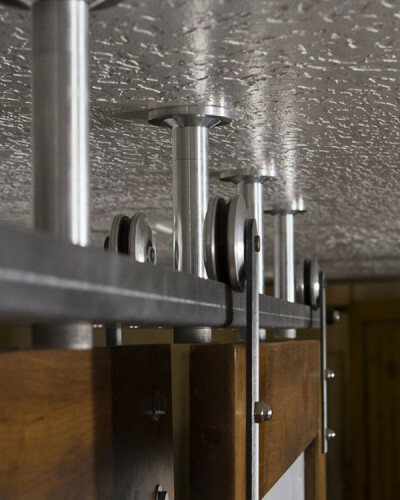 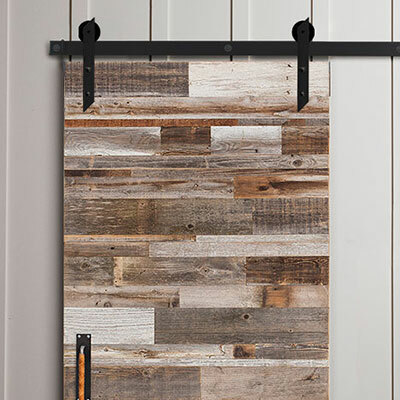 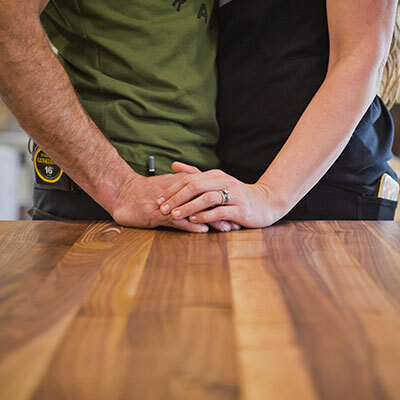 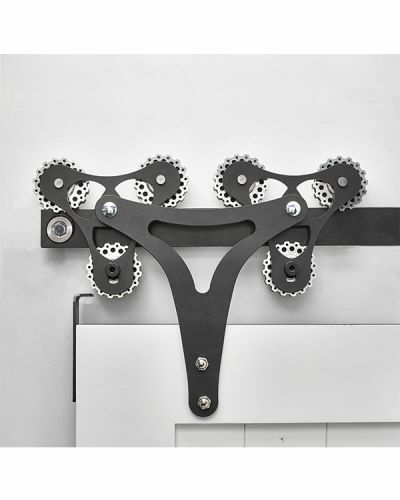 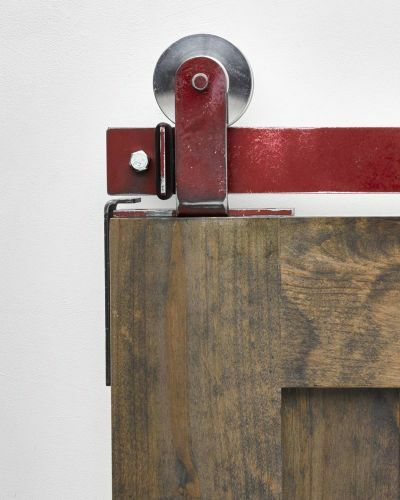 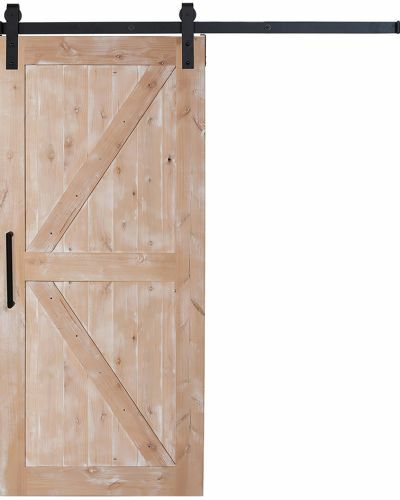 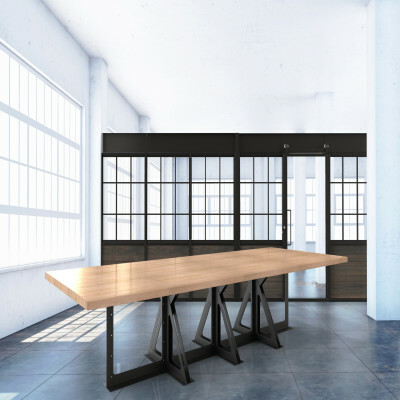 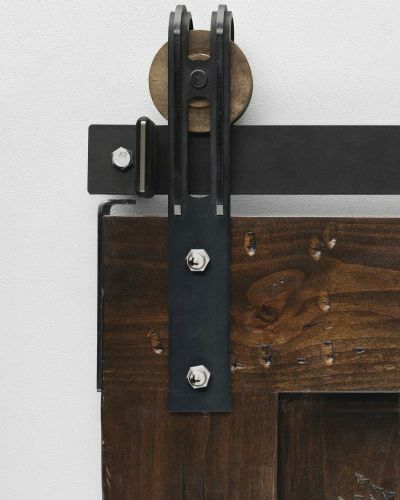 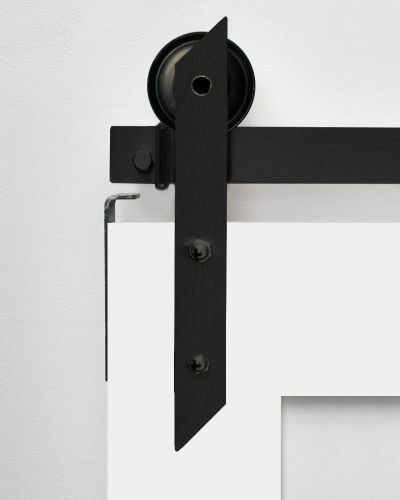 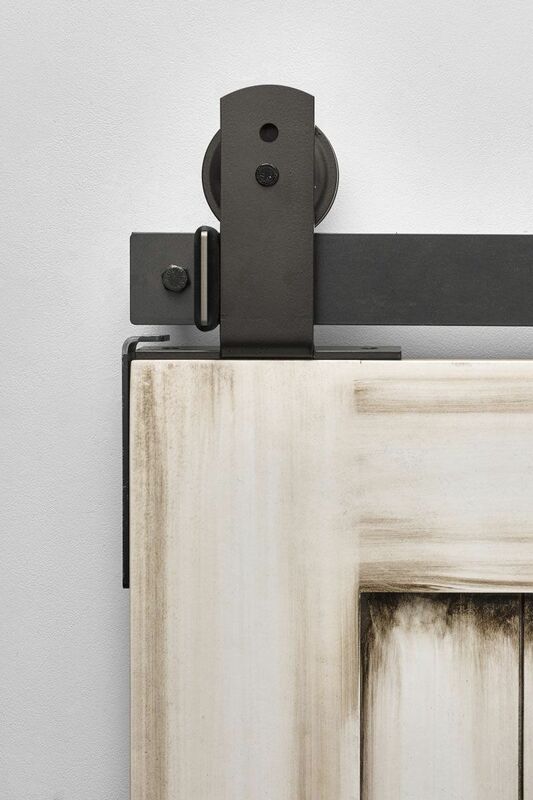 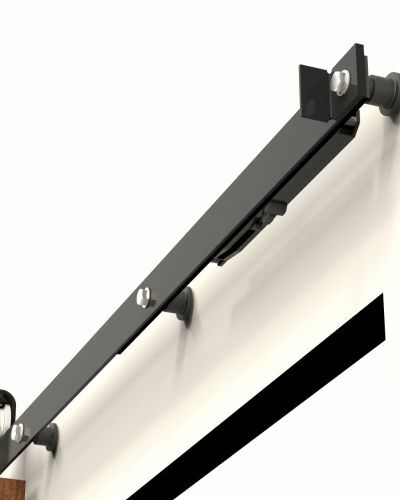 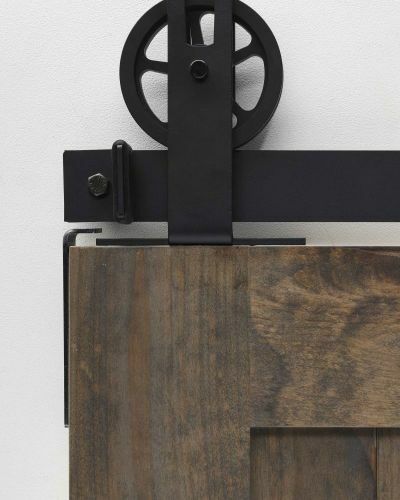 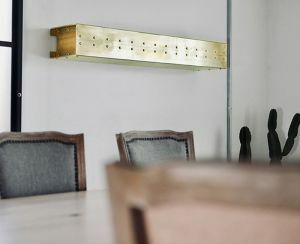 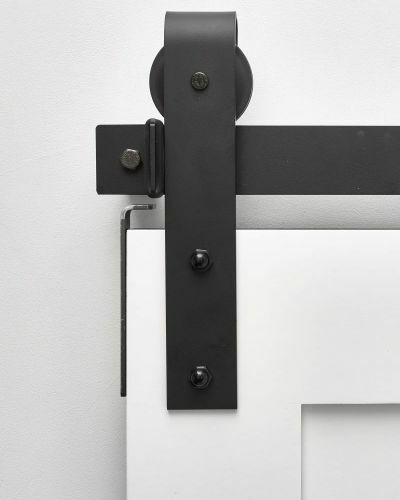 Designed for mounting to the top of the door versus the face of the door, this top mounted Ultra Modern hardware style allows for the functionality of rolling barn door hardware without the traditional face mounted installation. 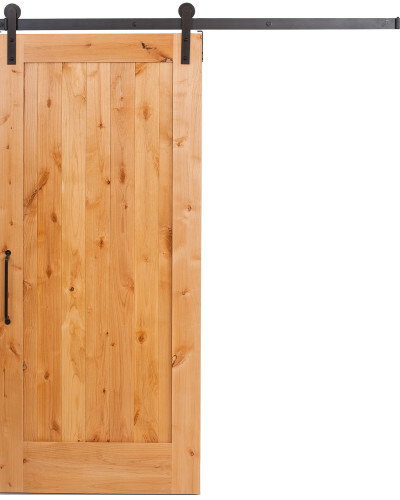 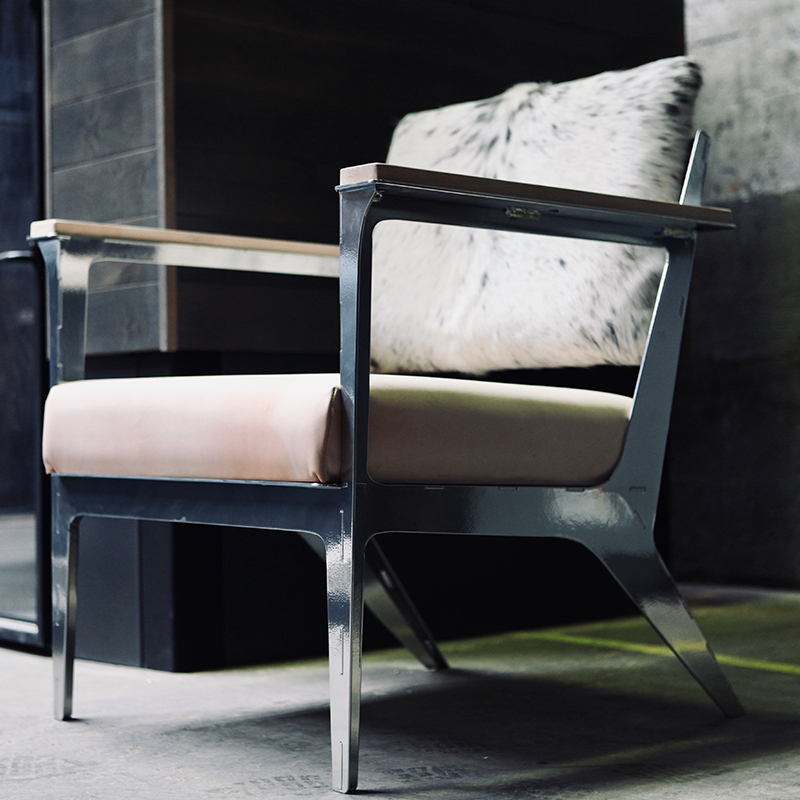 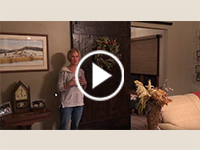 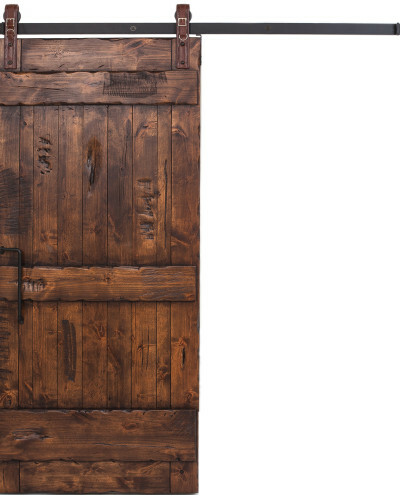 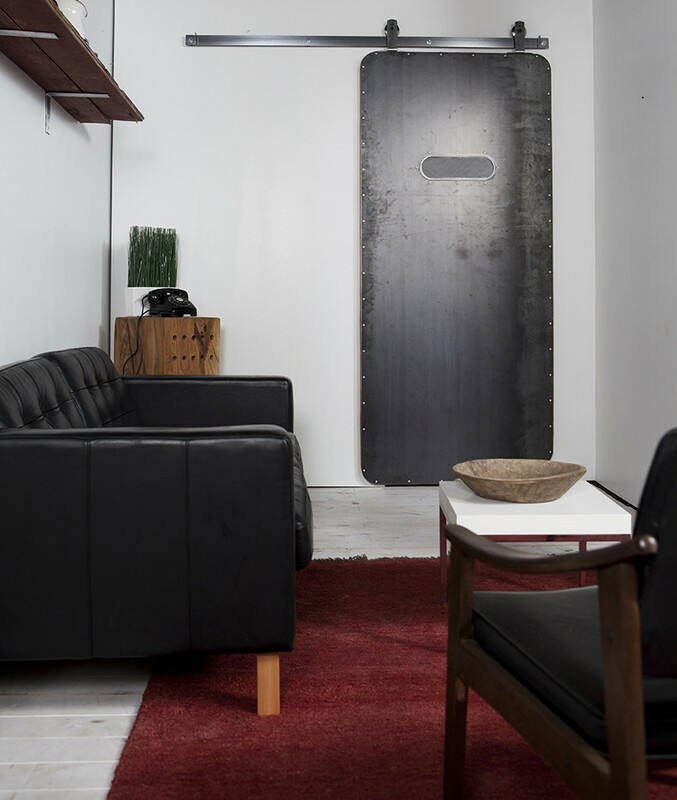 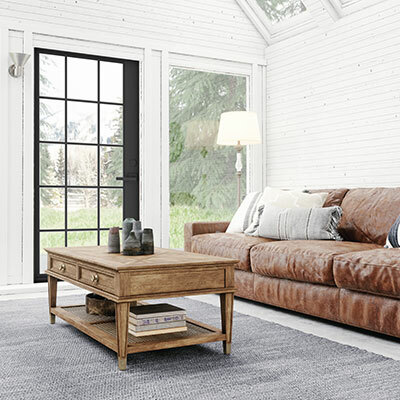 Due to its substantial look, our designers recommend using it in both modern and rustic applications, like our Mountain Modern Sliding Door. 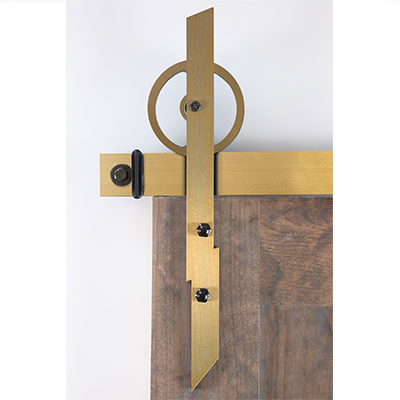 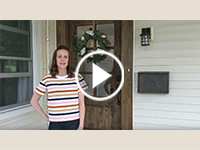 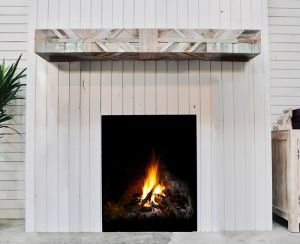 This hanger mounts to the top of the door and is perfect for doors that do not allow a face-mounted installation, including doors like our full glass panel with 2” wood frame.